When a user asks the Google Assistant a question the device reads back a single, definitive answer to the query. The main question for marketeers is; why is the Google Assistant answering what it is answering and where does that information is coming from. Research shows that in almost 40% of the queries the assistant gets the answer from a featured snippet; the answer box at the top of the search engine results page. 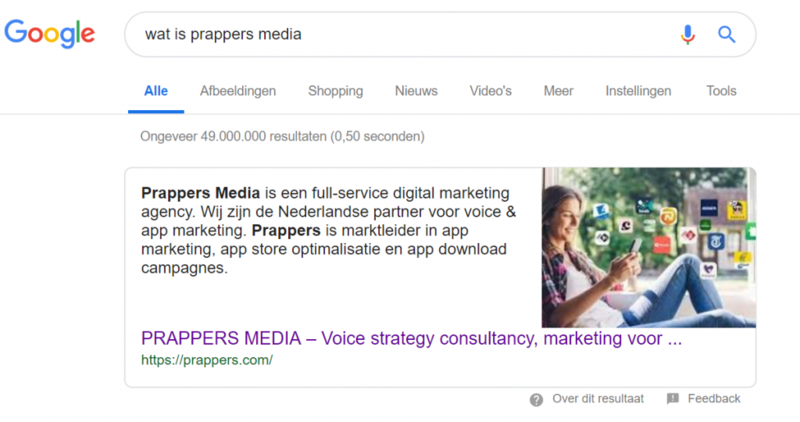 To quickest way to be the single result for a voice search, your content has to be the featured snippet result. 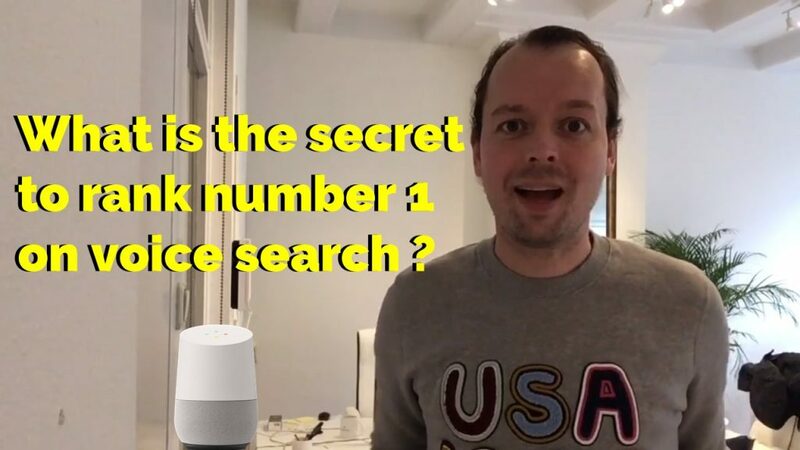 The algorithm of the Google Assistant is influenced by many factors, but from all research that is done it shows the featured snippet is the easiest way to become the number 1 answer. Now you know the importance of the featured snippet, the next question is: how does your content become a featured snippet? Becoming a featured snippet builds credibility, which is another important factor to rank high on Voice Search. Most featured snippets appear in question based queries. And most voice searches are being phrased in the form of a question, starting with one of the 6w’s; Why, When, Where, What, Who and hoW. Try focusing on writing content for the kind of questions users ask in your industry and focus on Long-Tail Searches and Q&A’s. Long tail keywords bring in less traffic, but that traffic does generate very good converting users, especially if you give the exact answer the user is looking for. So focus on answering the specific questions that people ask about your product, service or business. #1 Speed – Speed is everything, with voice it is even more important as you are in conversation and people want a quick respons. Make sure your page loads fast and Google will do the magic. #2 Length – Google loves to talk in short sentences, on average 29 words. #3 HTTPS – also with voice a HTTPS domain is crucial, you won’t be found without. #4 Page’s – don’t make separate pages for every voice search, but create pages with multiple content answers on it. On average Google extracts the voice search result out of page with 2300 words. #5 Implicit invocation – develop your own Google Action and create within this action keywords as invocation to trigger organic voice search with implicit invocations.